Hi there!!! Happy Friday!! I am so excited to share this card today! It is my Dad and Second Mom's Wedding Anniversary!! They have been together for the longest time and are very cute together! Here is my card! 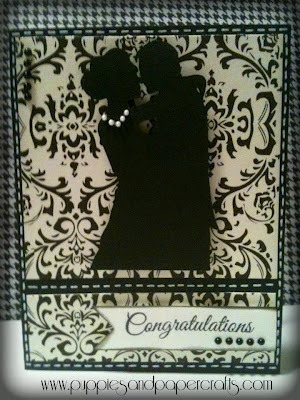 I chose the silhouette because My mom wore her hair up that day strung with pearls! She was absolutely beautiful! SUPER CUTE!!! LOVE the pearls!!!!! What a beautiful card. Love the pearls they are perfect and your stitching is amazing. Beautiful and Elegant. Love the paper. 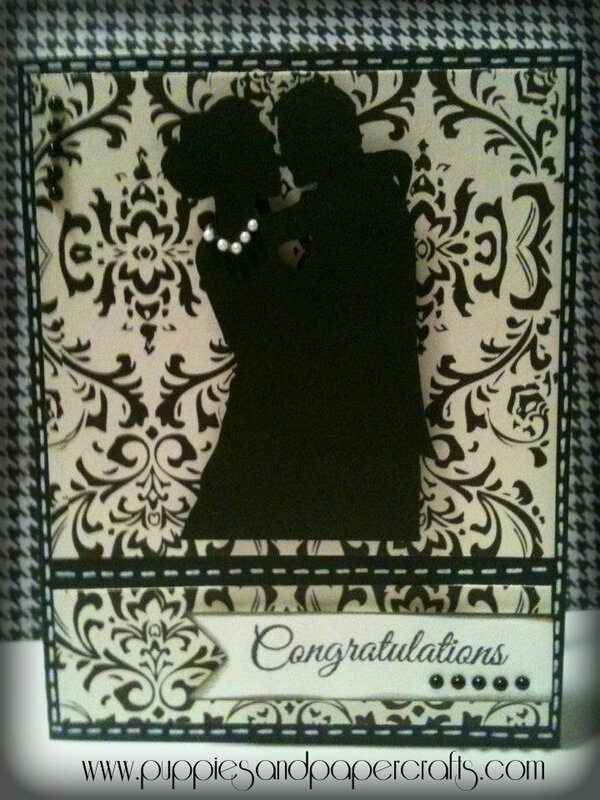 Thank you for sharing your beautiful card. Your parents will love it.